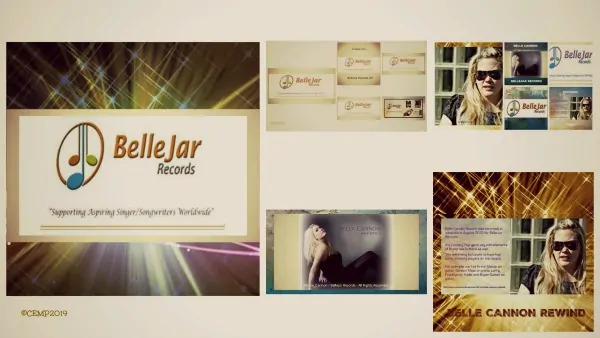 BelleJar Records is an independent record label in England promoting Belle Cannon and the Rewind album + various ongoing artiste promotions worldwide. We are always on the lookout for exciting new music projects and artistes to promote. Let us help you to find songs that fit your particular style. Maybe you’d like to record your own original material. Ask for costings. Radio pluggers and producers work with us in the UK and around the world. We cover all genres of music including the recent upsurge in new and also old country and folk music. Now is a good time to come on board with us! With our contacts we can help you produce from a demo to a full blown album. Ask for costings. If you’re planning an album release we’d like to hear about it! Selected independent talented singer songwriters and bands from around the world are being introduced across the UK. Your talents would be considered for promotion. We are pleased to support country music and promote independent UK country music singers touring the globe. However, we are unable to arrange tours at present.